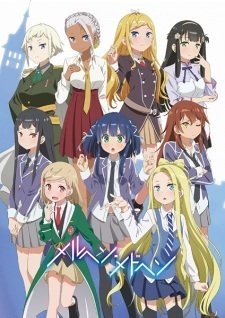 The official website of Märchen Mädchen announced that the delayed episodes 11 and 12 will air on AT-X on April 25. AT-X will also air the previous episodes with higher animation quality from April 28. Online services in Japan will also stream episodes 11 and 12 on April 29. Märchen Mädchen is based on the 2017 light novel by the late Tomohiro Matsu's literary group StoryWorks and Kantoku. Shueisha published the fourth volume under its Dash X Bunko imprint in April 2018. The anime adaptation by Hoods Entertainment began airing in Winter 2018. 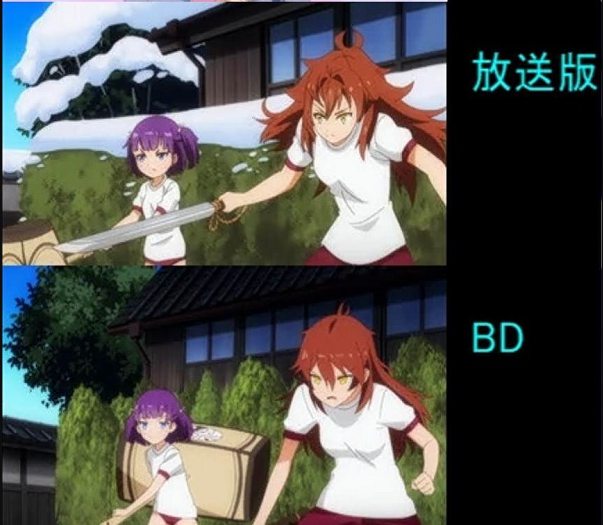 Episode nine was delayed for two weeks to improve the animation quality and aired on March 22 last year. Despite being planned for 12 episodes, The tenth episode aired one week later and was marked the "end" of the series by program guides. Episodes 11 and 12 were previously scheduled to premiere in December, but were pushed back to "April or later" due to various circumstances. inb4 they announce that it's delayed again until 2020. YES YES YES My favourite bad anime is finally getting a conclusion. I'm begging for the animators and production team to have have worked things out on this. Time to update my review. Big OOF for this anime. Even though it's bad that people still get treated as slaves these days (not only in Japan, but worldwide! ), I'm looking forward to finally watch the final two episodes of this anime. So it's kinda good news it's scheduled now in only a few weeks instead of December this year. Right? I hope someday animators won't have to overwork themselves to get minimal salaries, and will actually have time to finish all episodes of an animated series (at least a full cour) before it gets released. I never thought the animation quality was bad. And I gave it an 8. I'm excited for the last two episodes. I watched it while it was on hiatus and really liked it, so episode 9 disappointed me. I hope episodes 11 and 12 are good again.